Monday Musings…Books to Look Forward To! I’m baaaack! I had a nice vacation and a nice break! Now, here are some books that are coming out (relatively) soon! 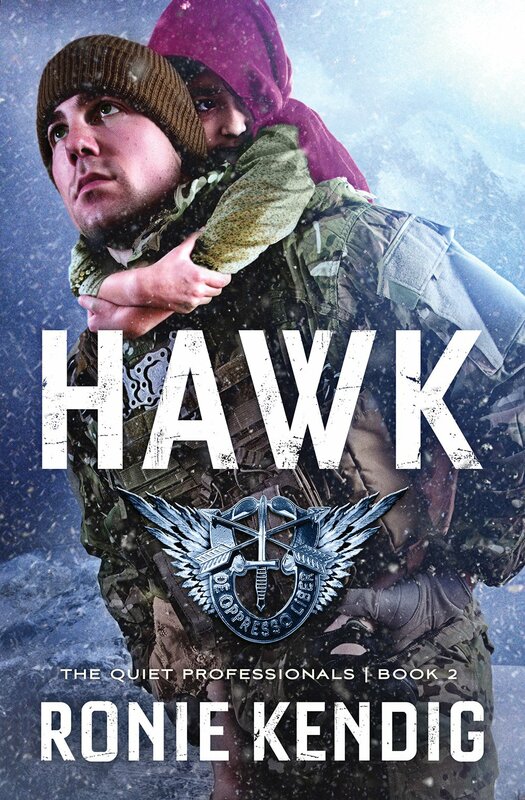 Raptor’s communications expert, Staff Sergeant Brian “Hawk” Bledsoe is struggling with his inner demons, leaving him on the verge of an “other than honorable” discharge. Plagued with corrupted intel, Raptor team continues to track down the terrorist playing chess with their lives. Afghan pilot Fekiria Haidary is devastated when a systems glitch on her aircraft forces a weapons launch on a safe target. And when the deadly bombing separates Brian from the team, he must make an impossible choice: save his brothers-in-arms, or save the woman and children depending on him to survive a brutal snowstorm. 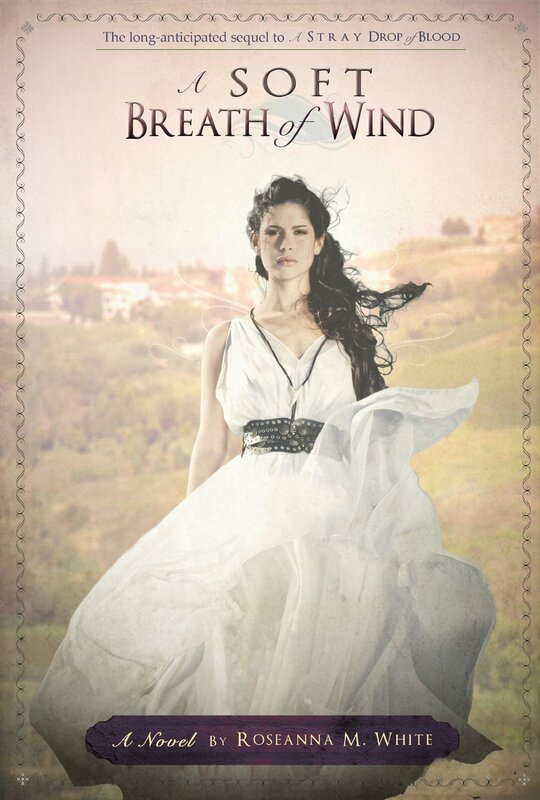 Zipporah is thirteen when the Spirit descends upon her, opening her eyes to a world beyond the physical goings-on of the villa outside Rome she has always called home. Within hours, she learns what serving the Lord can cost. Forever scarred after a vicious attack, she knows her call is to use this discernment to protect the Way. She knows she must serve the rest of her life at Tutelos, where the growing Roman church has congregated. She knows her lot is set. Yet is it so wrong to wish that her master, the kind and handsome young Benjamin Visibullis, will eventually see her as something more than a sister in Christ? Samuel Asinius, adoptive son of a wealthy Roman, has always called Benjamin brother. When their travels take them to Jerusalem for Passover, the last thing he expects is to cross paths with the woman who sold him into slavery as a child the mother he long ago purged from his heart. His sister, Dara, quickly catches Benjamin s eye, but Samuel suspects there is something dark at work. When Dara, a fortune-teller seeking the will of a shadowy master determined to undermine the Way, comes into the path of Zipporah, a whirlwind descends upon them all. Only the soft wind of the Spirit can heal their scars…with a love neither divination nor discernment could foresee. After tackling her first mission and coming to terms with her power of empathy, Andrei and her fellow Remnants discover their first battles were only a taste of what is to come. 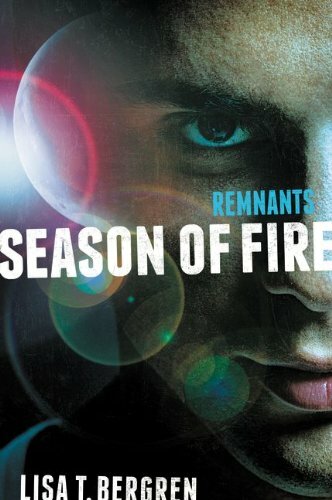 As the Sons of Sheol continue their assault on the world, planning to keep all hope dead, the Remnant finds itself battling within its ranks. With everyone pursuing what they feel is the best course of action, trouble mounts—and Andrei finds herself in terrible danger at the hands of Kellach. The Remnants must travel to Italy and find a way to fight as one before it is too late. Which Book Has Caught Your Fancy? Monday Musings….What’s the Last Book You Read, That You Couldn’t Put Down? Personally, the best books are books that invite you into their world and you just don’t want to leave. You find yourself tuning out the world, trying to do chores faster, and doing your best to convince yourself not to read at every stoplight as you drive. And so I ask you, what is the last book that you read that you simply couldn’t put down? For me, it was Elizabeth Camden’s With Every Breath (review this week). For you it may not be a recent read. So,what book captured you? One of the comments by Deborah recommended the author Sarah Witenhafer to me. And I’m so glad she did! Let me just tell you, this series goes out to all the paranormal romance lovers out there. I will say it’s a bit edgy (though all within the confines of Christianity) and has some mild language, but you cannot deny the message of the gospel. For me, the series starts off a bit predictable, but it has this great mystery in it and characters that pull you in…and it’s addictive. So, if you find that you love secular paranormals, give this one a chance. You won’t be disappointed! Hawaii was the last place Grace Christiansen ever imagined she’d vacation, much less fall in love. But when her family surprises her with a cooking retreat in paradise, she is pulled—or maybe yanked—away from her predictable, safe life and thrown headfirst into the adventure of a lifetime. Max Sharpe may make his living on the ice as a pro hockey player, but he feels most at home in the kitchen. Which is why he lives for the three-week culinary vacation he takes each year in Hawaii. Upon being paired with Grace for a cooking competition, Max finds himself drawn to her passion, confidence, and perseverance. But just when Grace dares to dream of a future beyond her hometown, Max pulls away. Wrestling with personal demons, Max fights against opening his heart to a love he knows he should never hope for. And as his secrets unfold, Grace is torn between the safe path in front of her and what her heart truly desires. If love means sacrificing her ideal happily ever after, Grace’s faith will face its toughest test yet. Now that she’s settled in town, Tina Cahill is determined to get Broken Wheel’s saloon closed for good. To that end, she pickets outside the place every afternoon. Unfortunately, so far no one has paid any attention. Vince Yates earned the nickname “Invincible Vince” because of his reputation for letting absolutely nothing stop him. But Vince is about to face his biggest challenge yet: his past has just caught up with him. His father, mother, and the sister he didn’t know he had show up in Broken Wheel without warning. His father is still a schemer. His mother is showing signs of dementia. And his surprise sister quickly falls for one of Vince’s best friends. Vince suddenly has a lot of people depending on him, and Tina doesn’t approve of how he’s handling any of them. With nearly every other man in town married off, Vince finds himself stuck with strong-willed Tina over and over again. Of course, Tina is the prettiest woman he’s ever seen, so if he could just get her to give up her crazy causes, he might go ahead and propose. But he’s got one more surprise coming his way: Tina’s picketing at the saloon has revealed a dark secret that could put everyone Vince loves in danger. When love simmers between a reclusive scientist and a wealthy debutante, will they abandon ship or is it full steam ahead? 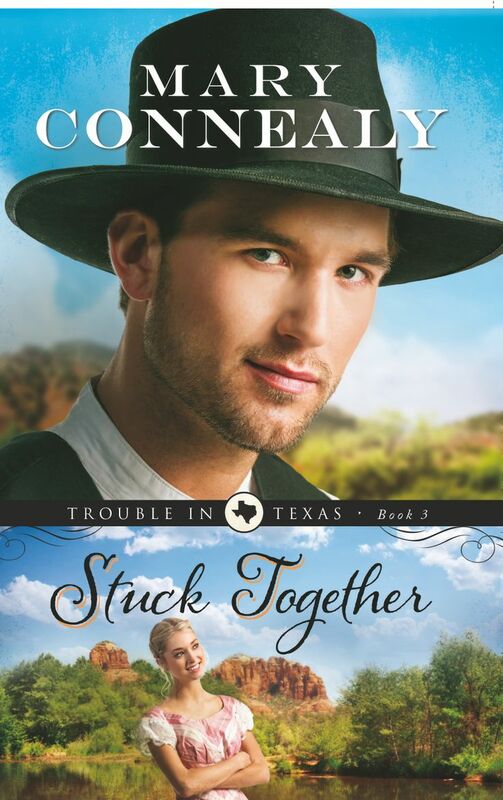 Nicole Renard returns home to Galveston, Texas, to find her father deathly ill. Though she loves him, Nicole’s father has always focused on what she’s not. Not male. Not married. Not able to run Renard Shipping. Vowing to find a suitable husband to give her father the heir he desires before it’s too late, Nicole sets out with the Renard family’s greatest treasure as her dowry: the highly coveted Lafitte Dagger. But her father’s rivals come after the dagger, forcing a change in Nicole’s plans. After a boiler explosion aboard the Louisiana nearly took his life, Darius Thornton has been a man obsessed. He will do anything to stop even one more steamship disaster. Even if it means letting a female secretary into his secluded world. Nicole is determined not to let her odd employer scare her off with his explosive experiments, yet when respect and mutual attraction grow between them, a new fear arises. How can she acquire an heir for her father when her heart belongs to another? And when her father’s rivals discover her hiding place, will she have to choose between that love and her family’s legacy? What’s coming out in the next couple months that you’re looking forward to? 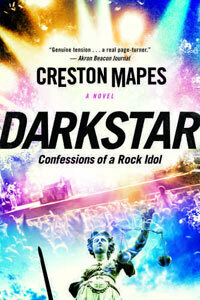 One of the most memorable series I’ve ever read is Creston Mapes Rock Star Chronicles. The main character, Everett Lester, manages to become so real on the pages that I almost, for a split second, thought he was a real Rock Star. This series is amazing with a moving story about the power of prayer. If you haven’t checked it out, then you’re missing out (and yes, there is romance, and it’s one of the sweetest most memorable love stories I’ve ever read). If he ever wrote another book in this series, I would be first in line! One thing I have noticed as an avid reader, is that it is not the genre that sinks or raises an author, it is their characters. Are the heroes heroic? Are the heroines relatable? I don’t care what the author writes: westerns, Amish, prairie, contemporary, fantasy, mystery, YA, etc., it is the people who make the book, not the setting. The characters should be able to come off the pages. Do you feel sad when they are sad? Are you concerned when they’re in trouble? Do they make you want to pray for them (in a good way, i.e. not thinking that they have serious issues)? Are you happy when they are? Great characters stay with you forever like Francine Rivers’ Hadassah (A Voice in the Wind) and Michael Hosea (Redeeming Love). Or Christy by Catherine Marshall. Even Rhett Butler from Gone With the Wind (book version). You may not have read that particular book in years, but you know that character so well. And so with this in mind, who are some great characters you’ve met recently? Sheltered since birth at her Kentucky home, Rowena Ballantyne has heard only whispered rumors of her grandfather Silas’s vast fortune and grand manor in Pennsylvania. When her father receives a rare letter summoning him to New Hope, Rowena makes the journey with him and quickly finds herself in a whole new world–filled with family members she’s never met, dances she’s never learned, and a new side to the father she thought she knew. As she struggles to fit in during their extended stay, she finds a friend in James Sackett, the most valued steamship pilot of the Ballantynes’ shipping line. Even with his help, Rowena feels she may never be comfortable in high society. Will she go her own way . . . to her peril? 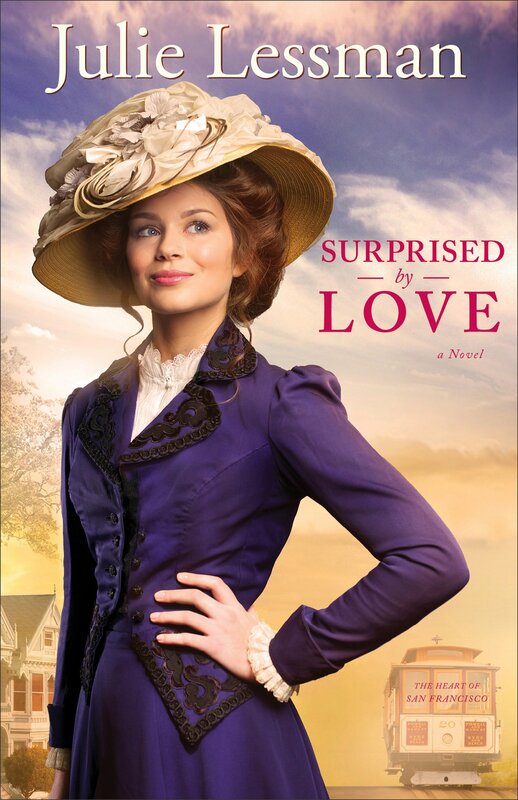 With her signature attention to historical detail, Laura Frantz brings 1850s Pennsylvania alive with a tender story of loss, love, and loyalty. Fans will cheer for this final installment of the Ballatyne saga. More importantly,have you read any of Laura Frantz’s books? If you haven’t, you’re missing out!